Designed with the inshore angler in mind, the Orra® Inshore spinning reel incorporates an aluminum reinforced C6 carbon body design that seamlessly combines the X-Cräftic™ gearbox with a C6 carbon body. The result is a lightweight body that houses gears in perfect alignment. A machined aluminum fishing braid-ready spool design prevents braided fishing lines and superlines from slipping, allowing braided line to be tied directly to the spool without the use of a mono or taped backing. Other features include an 8 stainless steel HPCR™ bearings + 1 roller bearing system that provides increased corrosion protection while maintaining smooth and consistent operation. Rocket line management™ provides better casting control of all types of fishing lines. Working in tandem with the Rocket spool lip design™, this system actively controls the line coming off the spool during a cast for improved control and accuracy. A stainless steel main shaft and components improve corrosion resistance while the Everlast™ bail system delivers improved durability. The Carbon Matrix™ hybrid drag system delivers super smooth drag performance throughout the drag range. 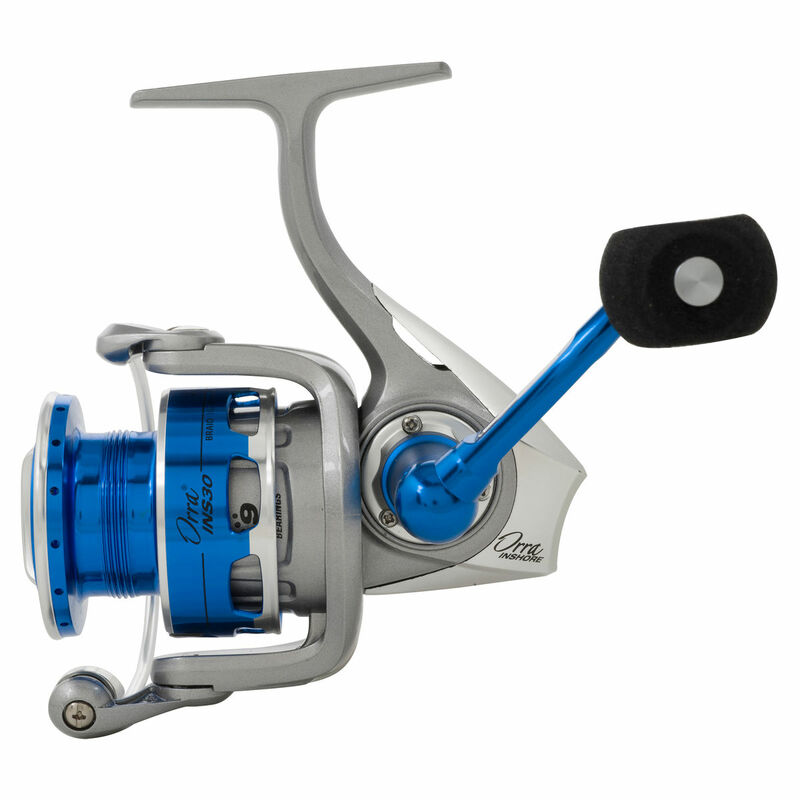 The large, flat EVA handle knob provides greater comfort and control and the reel can be configured for right- or left-hand retrieve.